Google Play revealed the top apps and games on its service in 2016. Google Play revealed the top applications and games on its service in 2016. For these lists, the top “trending” apps and games were those that were the most downloaded in 2016. On a global level, Google Play said Scoompa’s Face Changer 2 was the top trending app in 2016, followed by Lumyer – Photo & Selfie Editor from Lumyer and CastBox – Podcast Radio Music from CastBox.FM in second and third place, respectively. In terms of games, Niantic’s Pokemon Go was the top trending game on Google Play in 2016, followed by Supercell’s Clash Royale and skgames’ Traffic Rider. In the U.S. specifically, Google Play said the top trending app was Nintendo’s Miitomo, followed by Google’s own Google Duo and Facebook’s MSQRD. The top trending games of the year in the U.S. were King’s Candy Crush Jelly Saga, Clash Royale and Pokemon Go. Elsewhere, in the Americas, the Google Play editorial team selected Clash Royale as the best game of the year and Prisma from Prisma Labs as the best app of 2016. Google Play’s editorial team also created two lists of U.S.-specific content, which ranked the most innovative games and the best indie games of 2016. The team selected Reigns from Devolver Digital and Nerial as the most innovative game and The Last Vikings from Springloaded as the best indie game of the year. 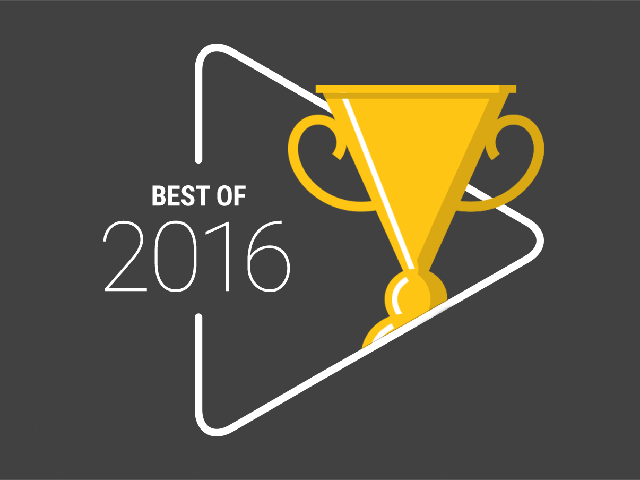 Check out Google’s Best of 2016 lists for both the world and the U.S. below. Top Trending Apps of 2016, U.S.
Top Trending Games of 2016, U.S. Most Innovative Games of 2016, U.S.
Best Indie Games of 2016, U.S. Readers: What are some of your favorite games and apps from 2016?